Here are the top kitchen color trends for 2018 and beyond. White and wood finish kitchen cabinets have dominated the kitchen design scene for the past decades. White, being considered as a fail proof color for kitchen cabinetry, became a staple in contemporary and modern designs because of their timeless appeal and ability to brighten up spaces. Wood kitchen cabinets, on the other hand, were a traditional staple because of their classic looks and the natural warmth that they bring into spaces. Although these two kitchen cabinetry colors have a unique staying power, more homeowners are drawn to unique palettes which help create a stunning overall kitchen design. Kitchen color trends vary from year to year because of the inventive way color is used to create spaces. The best thing about kitchen design and color palettes is that it is ever evolving and dynamic. We have seen a lot of great kitchen color trends in 2017, from muted hues of hunter green to charming tones of duty pink. Olive green also made its mark while mixed metals such as brass, copper and gold dominated kitchen cabinet decors. The color trend forecast for 2018 suggests a diverse range of colors for kitchen cabinetry which include two tone colors, natural neutrals like greige, gray and oak, palettes dominated by warm exotic earth hues like oranges and intense tonalities like navy blue and dark plum. Gone are the days were kitchen cabinetry is just in a single plain neutral color, but instead, expect to see unexpected color choices in modern kitchen palettes. 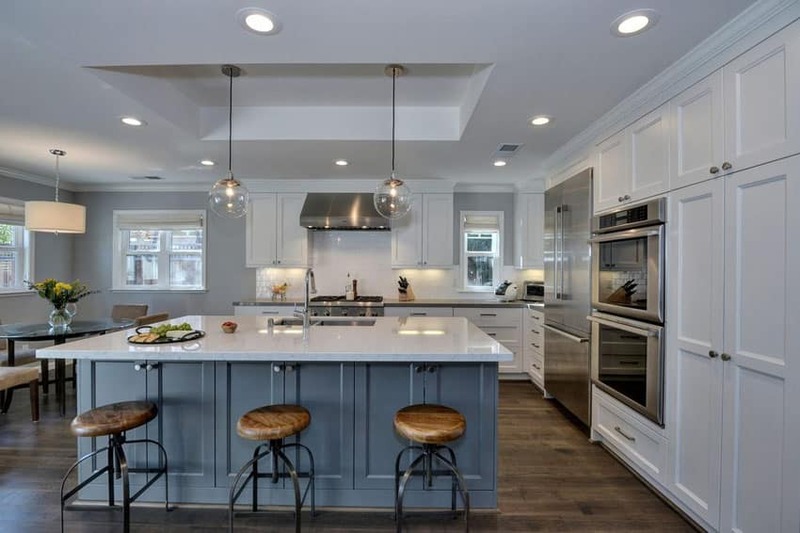 Two tone colors – The conventional way of formulating color schemes for kitchens typically involve two contrasting hues, wherein dark cabinets are paired with light countertops or light cabinets are paired with dark countertops. However, the same “two tone” color approach can be used in picking colors for kitchen cabinetry provide visual interest and amp up its appeal. Two tone colors have started to pick up steam this year and will continue to be the hottest kitchen cabinet color trend in 2018. 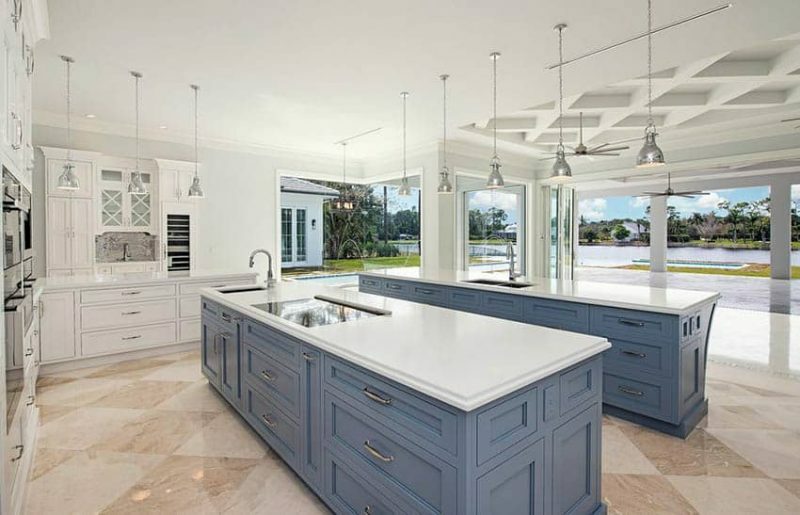 It first started with the “contrasting island”, wherein the center island is painted with a different color that contrasts with the rest of the main kitchen cabinetry. Taking this color principle into greater heights, most kitchens nowadays tend to combine two colors for their overhead cabinets and base cabinets. By combining contrasting colors for kitchen cabinetry, depth and dimension is added to the space. The modern palette of a two tone kitchen cabinet color typically combines a strong neutral with a striking earth inspired color. This stellar combo will surely make any kitchen cabinetry stand out. Some hot color selections for two tone color kitchen cabinets are dark neutral hues like charcoal grays, blacks, taupes can be combined with warm nature influenced hues such as terra cotta, sage greens or mustard yellow. Other tasteful combinations for two tone kitchen cabinets are combinations like gray and green, cool and warm gray, natural wood tones and black – anything is possible with this trend. Warm shades of Gray – The color gray is considered to be the “new neutral” of the interior design scene. Many homeowners and designers are drawn to the quiet strength that shades of gray bring to spaces. Nowadays, we see it in walls, flooring, furniture, finishing materials, lighting fixtures, soft furnishings and even in home decor. Alternatively, warm shades of gray can be used as a statement making color in modern kitchen cabinetry. Gray is the perfect alternative for homeowners who find white too boring. 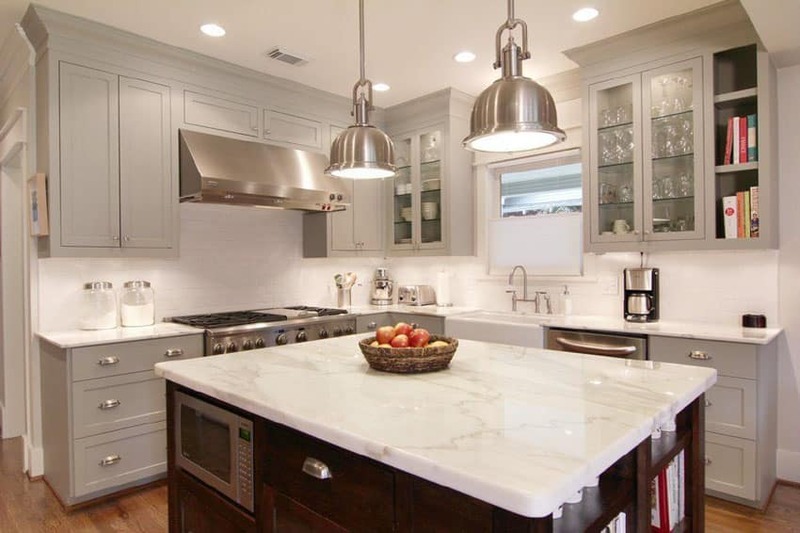 It shares the same attributes that make the color white well loved in the kitchen design scene, as it offers neutrality but has a more understated tone and more character to it. Gray kitchen cabinets offer flexibility and versatility in terms of mixing and matching accessories in a kitchen space. Just like white kitchen cabinets, this moody color functions as a perfect backdrop for introducing splashes of color, whether it may be warm or cool accents. 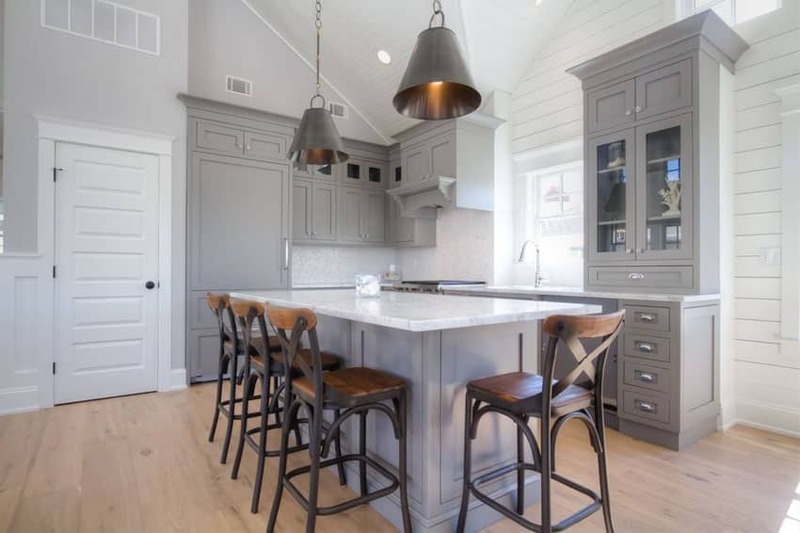 Although lighter shades of gray will never brighten up kitchen in the same way that white kitchen cabinets do, some paint manufacturers offer cooler tones such as cloud gray which may help create a more clean, casual, and comfortable kitchen atmosphere. Gray kitchen cabinets also provide a sleek and sophisticated look for modern kitchens. When paired with white quartz or black quartz countertops, gray kitchen cabinetry provide a subdued canvass which allows other accessories in the kitchen to pop out. It brings dramatic flair to a space, without being too overwhelming, while at the same time adds depth to the overall color scheme. For a more elevated style, warm gray kitchen cabinets are best paired with a balancing element such as sleek metal kitchen cabinet hardware, stainless steel appliances or crisp white walls. There are several shades of gray which can be explored as a kitchen cabinet color, but those that are hot this coming season are the shades of gray that belong to the “mid to dark” end of the spectrum such as graphite, smoke gray, ash gray, charcoal, slate gray, pebble and iron. Navy Blue – Dark blue or navy blue is the biggest trend in kitchen and bath. Many find navy blue to be an unexpected choice of color when it comes to kitchen interiors, because in general the color blue is often associated with being an appetite suppressant. 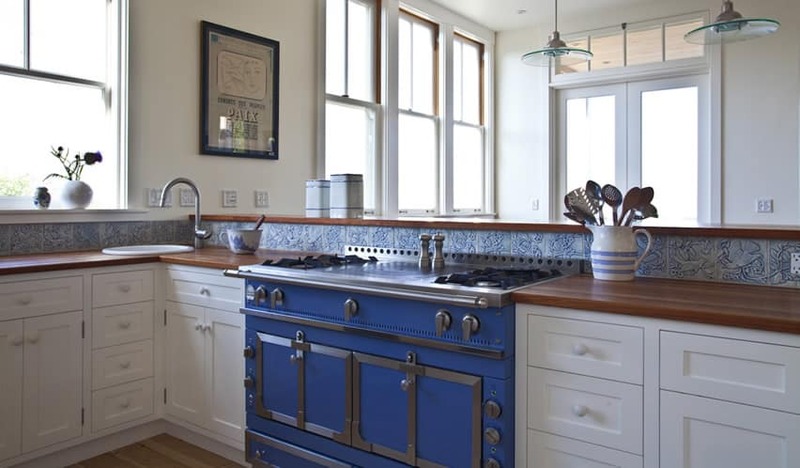 But lately, navy blue has been making waves when it comes to kitchen cabinetry color. Navy blue kitchen cabinets bring in a strong colorful presence in a space. It offers the perfect way to introduce a touch of color to a kitchen, without being too overwhelming nor too dull. Navy blue kitchen cabinets are also the ideal color of choice for homeowners who do not want to commit to the intensity of bright hues, but still want to create an updated color palette. Navy blue kitchen cabinetry is also calming yet stands out when placed in a neutral setting. Just like a trusted pair of dark jeans, navy kitchen cabinets work well with any kitchen style or inspiration. Although this color is not as flexible as neutrals like white or shades of gray, navy blue kitchen cabinets work well with most color schemes, especially when balanced with a shade of gray. Whether for main cabinetry or for a contrasting island, navy blue kitchen cabinet can surely render a classy statement to kitchens for the years to come. 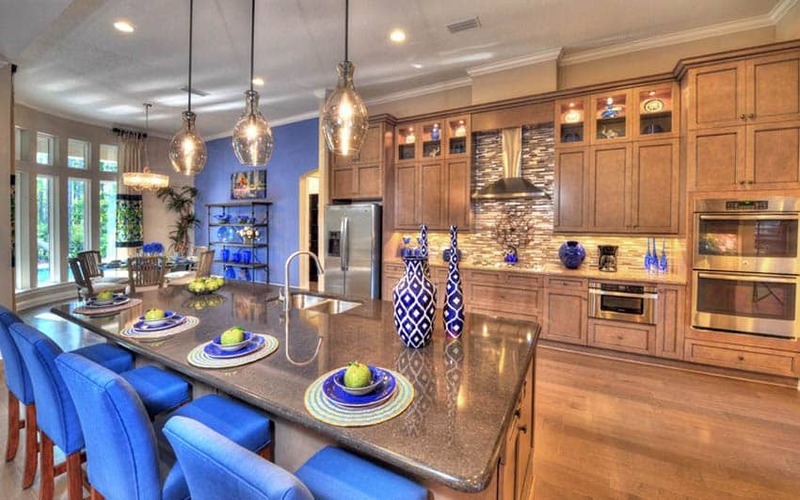 There are also other tonalities of the color blue which can be used alternatively for kitchen cabinetry color. Ocean blue and other beachy blue hues can be used for a more toned down appeal that renders coastal comfort and a refreshing feel. Greige – Greige is also another modern neutral which continues to gain ground as a kitchen cabinet color. By this time, you’ve probably heard of it once or twice, but what really is greige and what makes it a rising neutral in the kitchen design scene? Simply put, “greige” is the combination of the colors “gray” and “beige”. Beige is a traditional neutral which most people consider to be a safe choice of color for kitchen cabinetry. It borderlines between formal and casual spaces, has a relaxing vibe and is uncomplicated to use when it comes to mixing and matching. Gray, on the other hand, is a modern neutral which is best known for its subdued appeal, yet it can be used to create stylish and sophisticated spaces. Both of these universally popular neutrals have their own positive attributes and combining them to produce a new color offers the best of both worlds. Combining gray and beige create a richer hue that adapts well with any type of color scheme. Traditional beiges may sometimes be hard to work with because of its yellow undertones, but adding gray to a beige base solves these complicated undertones and gives it the ability to coordinate well with cooler colors. Greige is also flexible as it can be tailored into different tones and values.The amount of gray tint in a “greige” color can be adjusted into different levels in order to make a warm or cool neutral. The more greige becomes leaned towards gray, the more it becomes a cool neutral. While the stronger the beige influence, the warmer the greige becomes. Greige kitchen cabinets project the perfect balance of warm and cool undertones. 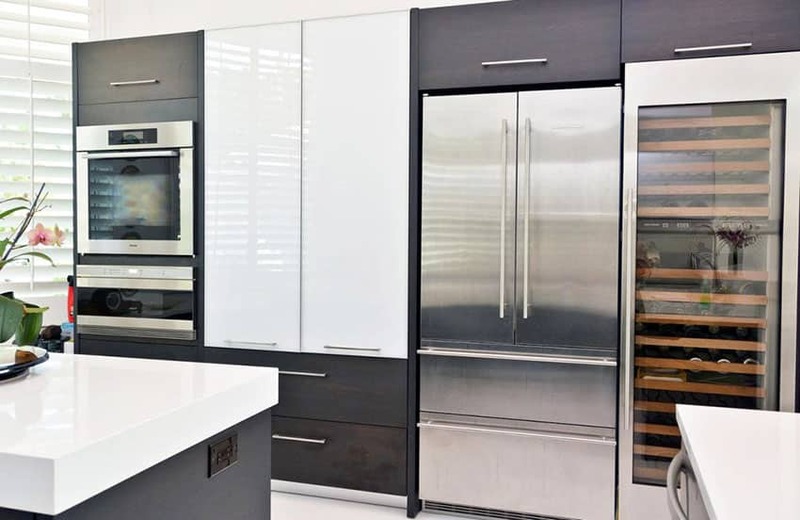 If you love gray kitchen cabinets, but worry that it may make your kitchen feel too cold, then greige kitchen cabinets is the perfect alternative you can explore. Greige kitchen cabinets give the combined elegance, sophistication and strength of neutral colors. It offers versatility and flexibility in terms of mixing and matching as it can go well with most accent colors and finishes. As mentioned, complementing greige kitchen cabinets is not that hard. Depending on the intensity of the gray tone in your greige kitchen cabinets, accent colors and complementing decor may be introduced in the space. Greige kitchen cabinets that is more leaned towards gray can be paired with cool complementing hues like blue and white for a refreshing kitchen color scheme. While greige kitchen cabinets that has more beige undertones in them can be matched with dark countertops or dark woods for contrast. Greige kitchen cabinets are also best paired with gold hardware for more glamour, while for those who want to introduce a vibrant pop of color in the space, pair greige kitchen cabinets with bright yellow accents. Warm natural color selections – If you do not like the look of new neutral colors which were mentioned above, then this next kitchen cabinet trend color is the best option you can explore. Earth tones and nature inspired colors are also a up and coming trend it comes to kitchen cabinetry color. Many people are drawn to the unique character that warm natural colors brings into a space, as it makes it feel more welcoming and inviting. Warm colors continue to be a popular choice for kitchen cabinet color because they are inherently comforting. In addition to the kick that they contribute to color palettes, warm hues are also considered to be appetite stimulators. Expect to see kitchen cabinetry in bold, exotic shades of warm natural colors that is dominated by oranges. Nature inspired warm tones include copper, gold, henna, clay, ginger, mustard, apricot, terracotta, yellows and reds. 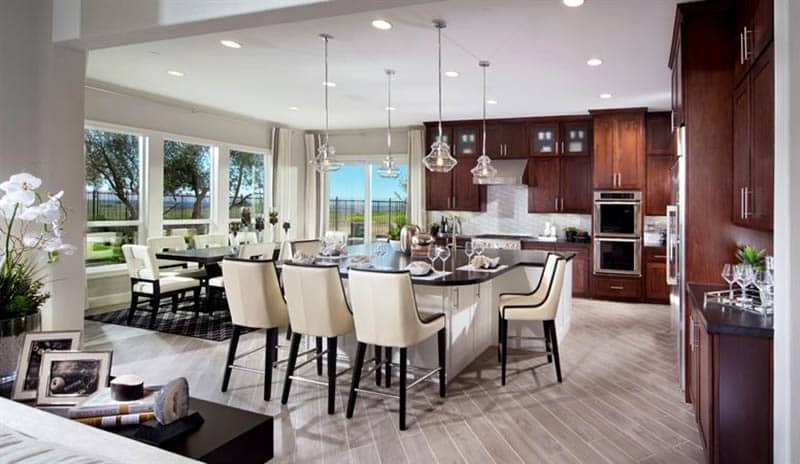 In trendy kitchen designs, warm colored kitchen cabinets are best juxtaposed with muted grays. Bold new colors – We can expect a refreshing color revolution in our kitchen palettes this coming 2018, and by that we mean new, unexpected colors which will surely make statements in a kitchen space. Adding color to kitchen cabinetry does not necessarily mean bright, vibrant hues. There are subtle hues and dramatic tones which can create an equally striking kitchen cabinetry design. These bold new colors for kitchen cabinetry include dark plum, petrol green and oranges. Purple, in general, suggests royalty and because of such, dark plum kitchen cabinets can render a rich, luxurious feel to kitchens. For a more dramatic style, pair dark plum kitchen cabinetry with shades of gray. Petrol Green. Another color that is set to make waves in the year 2018 as kitchen cabinetry color is petrol green. There is no doubt that the biggest trend for the coming year is to get a connection with nature. Inspired by nature, plants and trees , petrol green kitchen cabinets bring in a refreshing feel to kitchens. Other shades of green which are starting to go mainstream are moss green, sage green and hunter green. Bleached woods – Wood finishes, whether light or dark, are a mainstay in the kitchen design scene, and up to this day they still continue to be one of the most well loved colors for kitchen cabinetry because of the natural warmth, coziness and inviting feel that they bring into a space. Bleached wood and natural wood are making a comeback next year, and their distinctive beauty and warm texture are taken into new heights through the use of modern alternatives such as veneers and laminates. 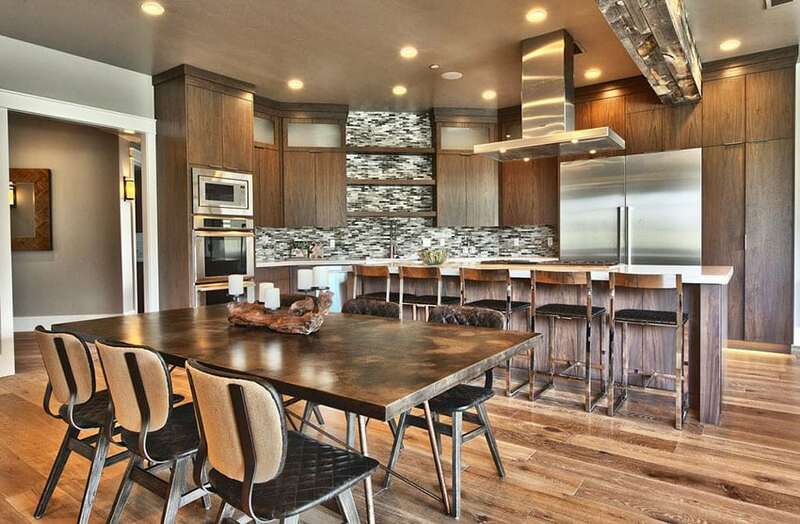 Modern and contemporary interiors typically make abundant use of synthetic and highly processed materials but incorporating natural elements like hardwoods or real veneers help prevent a kitchen from looking too sterile or bland. Oak wood, in particular, are starting to make their way back into the kitchen design industry. Extremely popular during the 1970’s and the early 90’s, oak wood kitchen cabinetry became a signature facet of traditional kitchen styles. During that era, oak wood kitchen cabinets in raised panel doors and honey colored stains were a staple in most American kitchens. But then the rise of maple, cherry, medium density fiberboard (MDF) and engineered wood led to its decline. Since vintage decor have always gained attention in the interior design scene, most homeowners take inspiration from past design trends and adapt it into the current setting and oak kitchen cabinets are the perfect example for such. The warm, golden hue and fine graining pattern of Oak wood contributes a strong character to kitchen cabinetry. 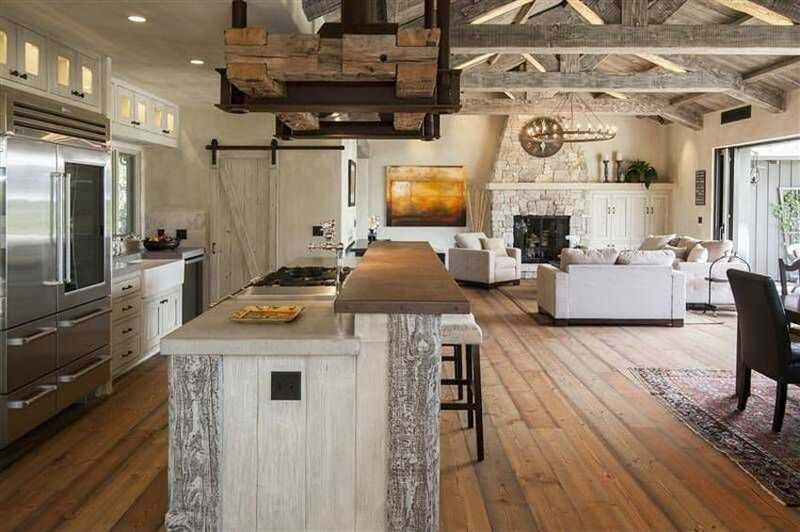 It offers versatility as it works best for most kitchen design styles whether it may be urban rustic, reclaimed or industrial. When mixed with polished surfaces and other contrasting textures, oak kitchen cabinets can bring in an added dimension to a space. Suppliers, kitchen cabinet manufacturers and designers continue to innovate the way oak is used for contemporary kitchen cabinet styles. Interesting door styles or detailing help update its look, while new finishes help bring out its best character. Highly attractive veneers such as white glazed oak or Brazil glazed oak are also a rising favorite as it gives a unique twist to traditional materials and given them a unique modern vibe. A well balanced design pays attention even up to the smallest detail in the space. And in order to create a cohesive yet appealing kitchen color palette, all design elements in the space must be meticulously hand picked. Kitchen appliances are as equally important as the kitchen cabinets. Although the cabinetry is the first thing that you notice upon entering the kitchen, the appliances complements its overall look. Below, we’ve rounded up a few of the hot kitchen appliance color trends to watch out for in 2018. Retro Colors – Most appliances are in basic white, silver or black and due to this, most homeowners typically introduced colors through the use of other finishes and materials in the space. But with the drive to create a more interesting look for kitchens, manufacturers have developed their own signature lines of bold and bright kitchen appliances. Kitchen appliances are a good way to bring in some splash of color to a space as it creates a statement without overpowering the kitchen cabinetry. 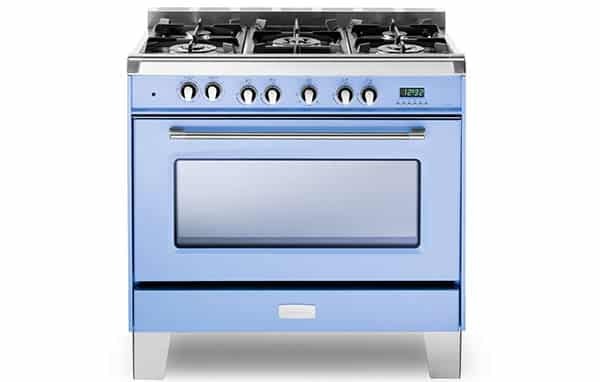 For the coming year, expect to see lively, retro colored appliances which will surely pop in a space. Refrigerators, ranges and ovens in bold shades of reds, lime greens, hot oranges and sunny yellows are set to take the center stage in upcoming kitchen designs. There is also a rising market for retro kitchen appliances. Manufacturers like Big Chill, produces retro refrigerators in diverse bold colors like Beach Blue, Pink Lemonade, Buttercup Yellow, Jadeite Green, Cherry Red, Black, White and Orange. 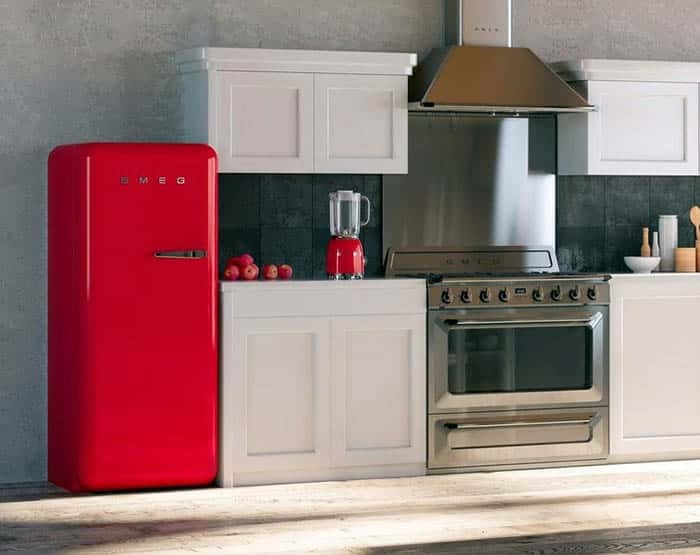 SMEG, another popular kitchen appliance brand, also offers retro style refrigerators, ovens, dishwashers and small appliances like stand mixers, toasters, blenders and electric kettles. Their refreshing color line includes pink, pastel green, pastel blue, panna, red, green and orange. Kitchen Aid, best known for its iconic colorful stand mixers, also manufactures kitchen appliances in dozens of colors which include red, deep plum, purple, green, teal blue, vibrant orange, etc. Bold retro colored kitchen appliances are best paired with complementing kitchen cabinets in shades of gray to heighten their color, but alternatively, they can be combined with both light and dark colored cabinetry. Gray tones – Gray is not only a trending kitchen cabinet color, but it is also holding strong as an alternative to stainless steel kitchen appliances. Just like gray kitchen cabinets, gray appliances work well with almost anything as it provides a stable and neutral accent to the space. 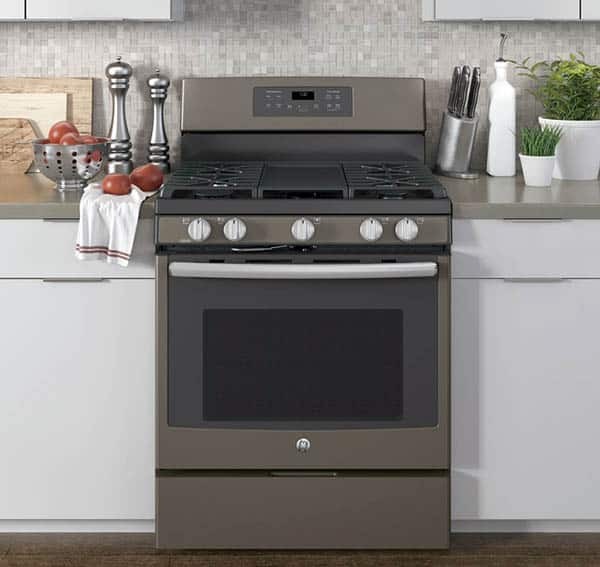 GE Appliances’ released their line ‘Slate Appliances”, which are kitchen equipment in a dark brushed-metal finish. Compared to the regular stainless steel finish, the slate appliances have a matte appearance and fingerprint-resistant surface. The best advantage of gray kitchen appliances is that it can be paired with all the kitchen cabinet color trends mentioned above. Update classic pairings – Give a new take on a classic pairing, such as the traditional “black and white” combo by adding small pops of color to a kitchen. 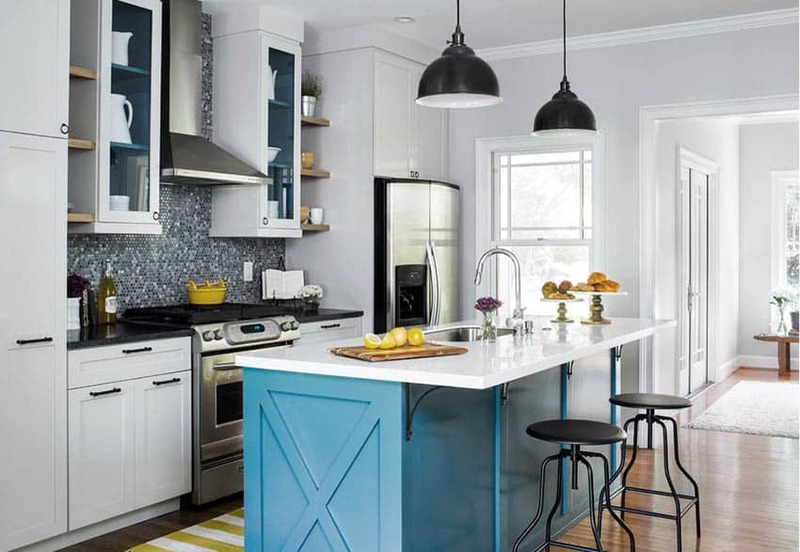 Pair charcoal gray kitchen cabinetry with bright white furniture then juxtapose it with colorful accents using decor, artwork, soft furnishing, window treatments, light fixtures or accessories. Brighten up with decor – Keep the cabinetry neutral but introduce an unexpected pop of color on islands, benches, cupboards to give more life and impact to a space without being too dominant. Go eclectic – Some homeowners may find eclecticism too risky, but a good mix of materials, finishes, patterns, color and styles produces a kitchen that is full of personality. As they say, why choose one particular style when you can combine different inspirations to create a stand out kitchen design? Introduce patterned wallpaper with geometric prints on accent walls or combine classic elements with modern ideas to impose eclecticism in a kitchen space. Dark colored furniture– Black and gray will still remain to be popular kitchen furniture colors in 2018. Both colors may stand alone or may be combined with traditional colors like white or wood finishes in order to create a statement in a space. Use dark colored furniture for bar stools or benches.